Despite its EU accession, Lithuania’s trade with its CEE neighbors, and Russia in particular, accounts for a significant share of total trade. Foreign investment and business support have helped in the transition from the old command economy to a market economy. Lithuania, along with the other two former Soviet Baltic republics was among the hardest hit by the 2008-09 financial crisis. 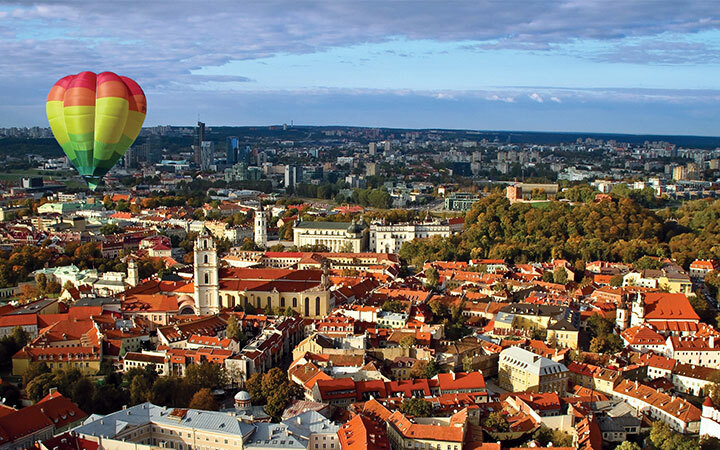 The government’s efforts to attract foreign investment, to develop export markets, and to pursue broad economic reforms has been key to Lithuania’s quick recovery from a deep recession, making Lithuania one of the fastest growing economies in the EU. Structurally, there is a gradual but consistent shift towards a knowledge-based economy with special emphasis on biotechnology (industrial and diagnostic). The major biotechnology companies and laser manufacturers of the Baltics are concentrated in Lithuania. Also mechatronics and information technology are seen as prospective knowledge-based economy directions. In 2009, Barclays established a Technology Centre Lithuania – one of four strategic engineering centres supporting the Barclays Retail Bankingbusinesses across the globe. In 2011, Western Union officially opened their new European Regional Operating Centre in Vilnius. Lithuania has been among the fastest growing economies in the European Union and was ranked 17th in the Ease of Doing Business Index by the World Bank in 2013. Lithuania is accepted to join the Eurozone as of January 2015. The main industrial sectors are: metal-cutting machine tools, electric motors, television sets, refrigerators and freezers, petroleum refining, shipbuilding, furniture, textiles, food processing, fertilizers, agricultural machinery, optical equipment, electronic components, computers, amber jewelry. 34% of the population aged 25 to 64 had completed tertiary education; 59.1% had completed upper secondary and post-secondary (non-tertiary) education. 90% of Lithuanians speak at least one foreign language and half of the population speaks two foreign languages, mostly Russian and English. As with other Baltic nations, in particular Latvia, the large volume of higher education graduates within the country, coupled with the high rate of spoken second languages is contributing to an education brain drain. Many Lithuanians are choosing to emigrate seeking higher earning employment and studies throughout Europe. Since their inclusion into the European Union in 2004, Lithuania’s population has fallen by approximately 180,000 people. Vilnius University, one of the oldest universities in Northern Europe and the largest university in Lithuania, has been listed among the top universities by the Center of World University Ranking in 2014. Lithuania joined both NATO and the EU in the spring of 2004. In January 2014.